It's officially 2014! Can you believe it?! I hope you all had a wonderful evening last night filled with a little champagne and a whole lot of fun. 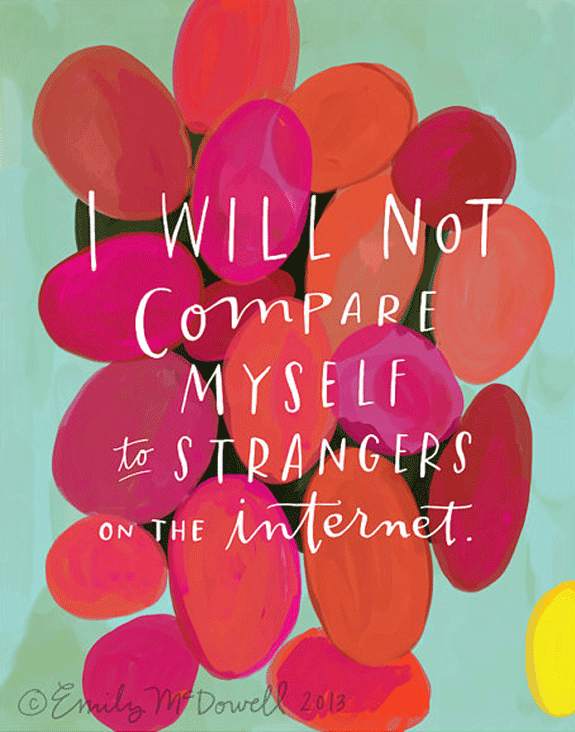 Today, I want to share with you a really cool print I found by Emily McDowell on Etsy. I love this print because it really puts some perspective on traditional resolutions. I thought it would be neat if I gave you my answers, and, if you feel comfortable, you leave yours in the comments. This year, I will take risks. I will let go of career-related regrets & embrace change. I will honor my promises and love my body (tough one). I will stand up and share my ideas with the world! This year, I will remember that I am loved, and I am enough. Happy 2014, and cheers to a year we all take by the horns. This year I will take some risks. I will let go of expectations and embrace simplicity. I will honor my family and love my down-time (so hard). I will share my big fat dreams with the world. Love this! Happy New Year Nicole! 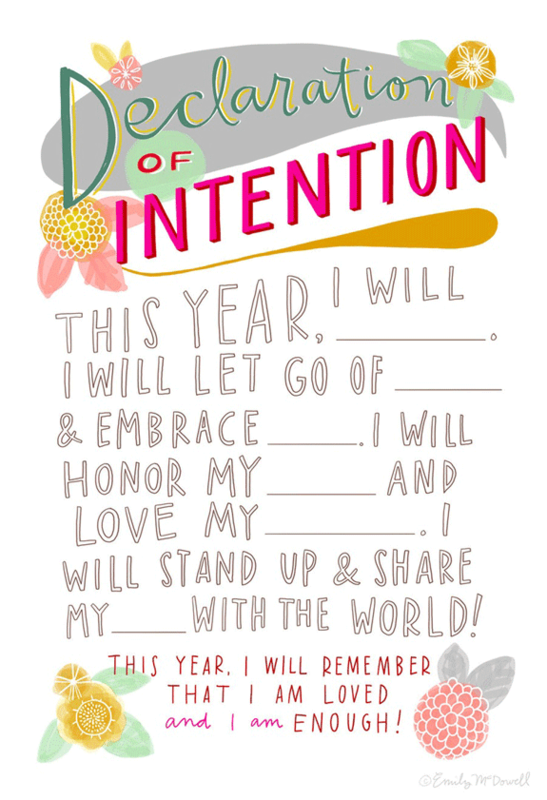 I love this declaration of intention. So inspiring! Thanks for sharing!